Roseanne. Will & Grace. The X-Files. The L Word. If you are a beloved TV series from the last 30 years, there’s a good chance a reboot has been discussed. 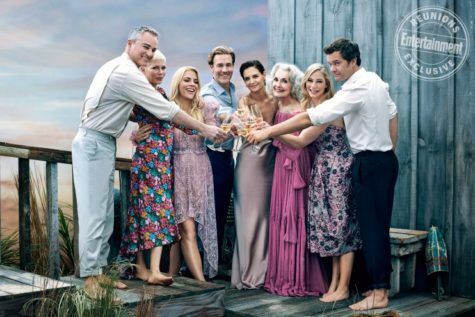 Dawson’s Creek ended in 2003 but fans have often wondered whether this show could return in some form. In the finale, Jen (Michelle Williams) passed away from a heart attack but her daughter is being raised by Jack (Kerr Smith) and Doug (Dylan Neal). Dawson (James Van Der Beek) finally got to meet his idol, Steven Spielberg, and Joey (Katie Holmes) and Pacey (Joshua Jackson) were living a happy life together in NYC. So could the cast see a reason to return to Capeside? “It would have to be a reinvention of sorts,” says Van Der Beek. Adds Holmes, “What I love about this show is that it existed at a time pre-social media, and it was nostalgic when we were shooting it. So I really like it where it is.” Other thoughts here. Holmes To Do “Neverland” Musical? Will The Prize Be Called Palme D’Or Horse?